Rome: Porridge or Pig Stomach? I’m in the beer section of a market, what to have? What to have? Ah, Dogfish Head, yes they have some rather . . . oh, an almost three-thousand year old beer recipe from Italy. I’ll take it. 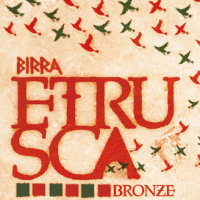 Birra Etrusca Bronze: drinking vessels in 2,800 -year-old Etruscan tombs. I taste wine? Sauturne? Fermented pomegranate? A drink to keep you in the underworld or let you out? Did I mention honey? Oh my! Bronze added to the fermentation process, and apparently bronze is friendly to yeast! All this makes for an incredibly refreshing beverage–it’s beer, it’s mead, it’s a culture the Romans extinguished. Ah, the Romans. Etruscan civilization flourished on the Northern Italian peninsula until it’s absorption by the Roman Republic in the late fourth century BCE. Academia Barilla offers a summary diet for the 99%: “cheese, soup, legumes, onion and garlic,” while the upper class ate “roasted game, poultry and pork.” There are a number of Tuscany sites providing information about the Etruscan menu. 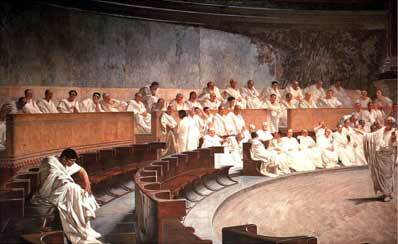 We do know more about the cuisine of the Roman Republic and Empire. In Cuisines and Empires, Rachel Laudan writes about the strict Roman Republican approach to food. Take Cato the Elder for instance, via Plutarch, he’s pretty clear on what cuisine brings you military victory. Here it was that the ambassadors of the Samnites once found him seated at his hearth cooking turnips, and offered him much gold; but he dismissed them, saying that a man whom such a meal satisfied had no need of gold, and for his part he thought that a more honourable thing than the possession of gold was the conquest of its possessors. 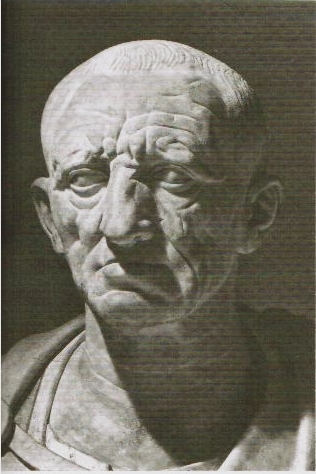 He tells us that he never wore clothing worth more than a hundred drachmas; that he drank, even when he was praetor or consul, the same wine as his slaves; that as for fish and meats, he would buy thirty asses’ worth for his dinner from the public stalls, and even this for the city’s sake, that he might not live on bread alone, but strengthen his body for military service . . . . Farming is also a sacred bond. 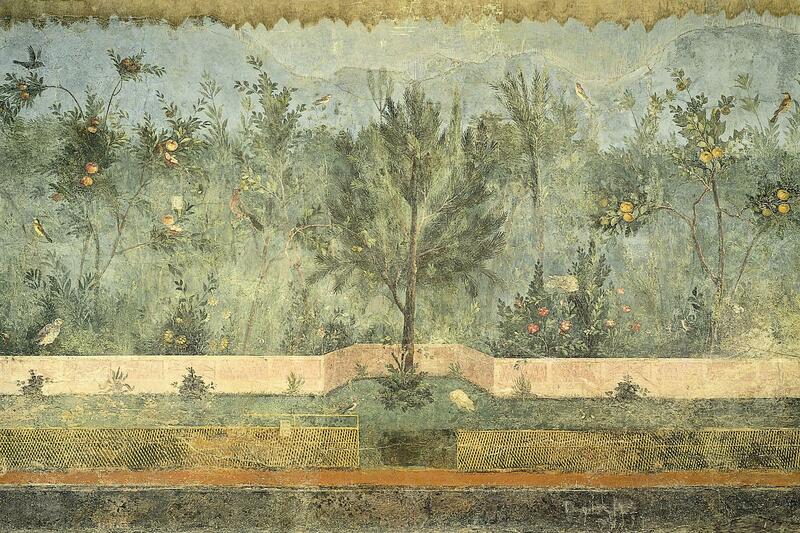 One of our favorite Roman Stoics also weighs in on cuisine. 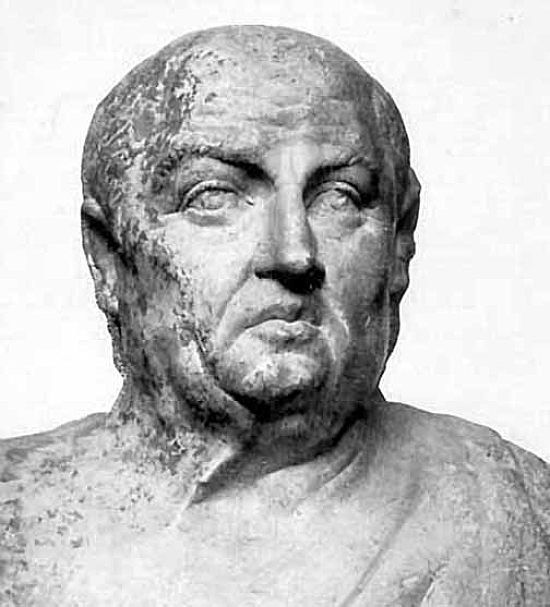 Here’s Seneca in Holidays. That doctor of pleasure Epicurus kept certain days on which he appeased his hunger on short commons, with the object of ascertaining whether this was a diminution of full and complete pleasure, how great the diminution was, and whether it was worth supplying at the cost of great exertion. At least that is what he says in his letter to Polyaenus, dated in the archonship of Charinus. Indeed, he boasts that his food came to less than a nickel, while Metrodorus, who had not progressed so far, required a whole nickel. Do you suppose such diet is adequate? It even gives pleasure, and not the fickle and fleeting sort which always needs renewal but a pleasure sound and sure. Water and porridge and a crust of barley bread are not the jolliest fare, but it is a very great pleasure to derive pleasure form such things and to have established a regimen which no malignancy of Fortune can spirit away. Prison fare is more generous, the executioner is not so stingy with food for culprits awaiting capital punishment. What loftiness of spirit to descend voluntarily to a level which a man sentenced to death is spared! However the Empire would change this stoic approach to diet. Rachel Laudan continues into the days and nights of the empire. Host and guests gathered for the evening dinner (centa) in the finest room in the house, its floor and walls often beautifully decorated with mosaics or paintings, and adorned with furniture, vessels and implements. They lay diagonally, three to a couch, on couches arranged in a [sideways u]shape. Holding their plate in their left hand, they delicately picked up food with the right. Those who dined together were theoretically equals, thought hosts often gave the lesser guests smaller portions, less choice pieces, and less desirable places at the table, or simply ignored them. The dinner included appetizers, sauced dishes, and desserts, all spurned by republicans. 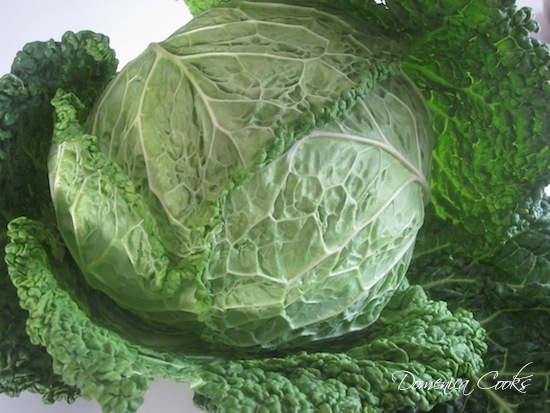 For appetizers, diners might have lettuce (perhaps served with an oil-and-vinegar dressing), sliced leeks (boiled, sliced in rounds, and dressed with oil, garum, and wine), tuna garnished with eggs on rue leaves, eggs baked in the embers, fresh cheese with herbs, and olives with honeyed wine (muslim). Yet, well within the Empire the former “spartan” cuisine had been lost and excess ruled the upper classes. Petronius’ satire gives us a clear view of the aristocratic Roman dinner table in The Satyricon. At least while we feed our face. And to end, here is Apicius’ recipe ( not a person but a collection of recipes from the fourth and fitch century common era) for a pig’s stomach. Bon Appétit! Previous Previous post: The Orchestral Recipe: This Is What I Dance To In My Kitchen, What About You?